Couple of months ago, we exclusively reported that the U.S. government blocked Intel from selling its products to Chinese supercomputer firms such as Inspur, responsible for building the Tianhe-2 supercomputer. Originally, Tianhe-2 was planned to expand all the way to almost 100,000 Xeon processors and Xeon Phi co-processors, targeting to beat the 100 PFLOPS barrier. 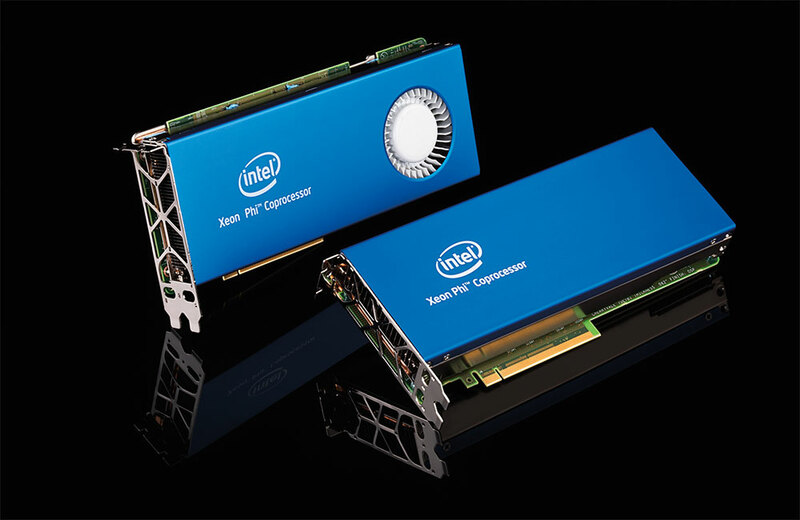 Initial deployment included 4,096 Chinese Galaxy FT-1500 processors (Chinese SPARC) and 16,000 processor nodes with two 12-core Xeon E2692 processors and three Xeon Phi 31S1P co-processors for a grand total of 3.12 million cores. Full installation of Tianhe-2 was scheduled to feature 48,000 processor nodes, or 9.93 million cores. However, those plans came to a screeching halt after U.S. strongly reacted to what was almost a double play from both Intel and AMD. During that time, AMD was negotiating to go private with a Far Eastern-based fund, while Intel was finalizing the deal with Inspur and NUDT to expand the Tianhe-2. World’s largest installation of Xeon Phi accelerators is still world’s #1 supercomputer: 48,000 Xeon Phis make up for 2.92 million cores. (4) National University of Defense Technology (NUDT), Garden Road (Metro West), Changsha City, Kaifu District, Hunan Province, China. The ERC determined that the National University of Defense Technology (NUDT), the National Supercomputing Center in Changsha (NSCC-CS), National Supercomputing Center in Guangzhou (NSCC-GZ), and the National Supercomputing Center in Tianjin (NSCC-TJ), all located in the People’s Republic of China, meet the guidelines listed under § 744.11(b): Entities for which there is reasonable cause to believe, based on specific and articulated facts, that an entity has been involved, is involved, or poses a significant risk of being or becoming involved in activities that are contrary to the national security or foreign policy interests of the United States and those acting on behalf of such entities may be added to the Entity List pursuant to thissection. Specifically, NUDT has used U.S.-origin multicores, boards, and (co)processors to produce the TianHe-1A and TianHe-2 supercomputers located at the National Supercomputing Centers in Changsha, Guangzhou, and Tianjin. The TianHe-1A and TianHe-2 supercomputers are believed to be used in nuclear explosive activities as described in § 744.2(a) of the EAR. Still, not even preventing China to expand the Tianhe-2 supercomputer to its fullest potential didn’t do much in terms of limiting performance. 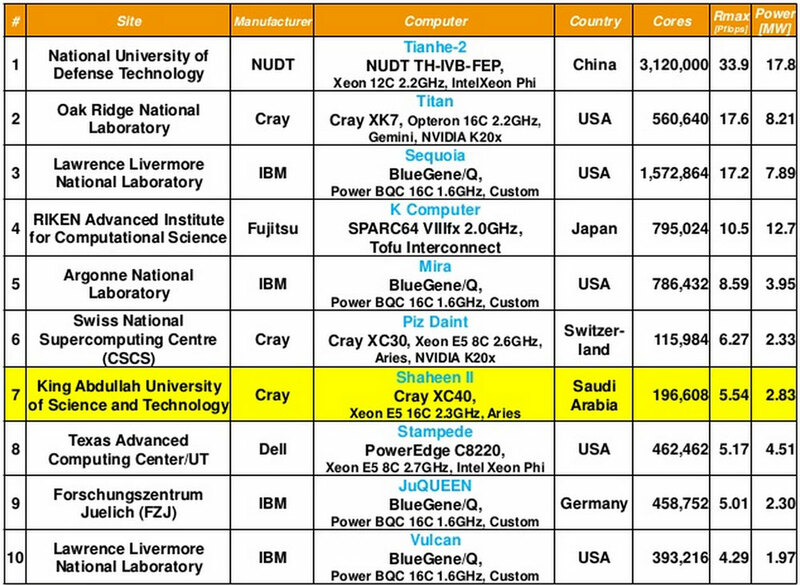 On the International Supercomputing Conference 2015, traditionally held in Germany, a new Top 500 list was published. You’ve guessed it right, Tianhe-2 came on top for the record fifth time in a row. Top 500 List for June 2015. Tianhe-2 keeps #1 spot as Saudi Arabia makes debut at #7. While it is not exactly known what workloads is Tianhe-2 running and is Uncle Sam right or wrong when they blocked the expansion, there is a good article on The Platform that goes into details on what does the Tianhe-2 do. A team working on the Chinese supercomputer was able to achieve a 45x speedup on a single node of the system without a loss in precision by refining their approach to parallelization of a critical part of the genomic analysis pipeline. By revamping how a commonly used SNP detection framework shares the load via the team’s mSNP framework, they could take this single node performance and scale it to just over 4,000 nodes of the Xeon Phi-boosted super. The existing tool is called SOAPsnp, which the team says took more than one full week to analyze for one human genome with 20-fold coverage. Still, Genome Research (and health research in general) and an institution called “National University of Defense Technology” do not exactly go hand in hand. This feat is not as surprising if we take a look at other slides from the Highlights of the 45th Top 500 List presentation, where slide 5 shows that the average system age rose to 3.25 years. For comparison, 10 years ago average system age was barely over a year, at 1.27 years. Still, next couple of years should bring change in the world of supercomputing, as multiple systems are scheduled to come online, which should eclipse Tianhe-2. U.S. systems include Summit, Sierra and Aurora, Japan is on track with its 150 PFLOPS system, while a lot is expected from the planned Exascale ASKAP supercomputer that will serve the Square Kilometer Array in Australia and South Africa.